With a fascination for footwear and a natural eye for style, Paul Lamb took his first steps into footwear in the late 1980’s, opening a series of boutique shoe stores in Birmingham’s city centre. 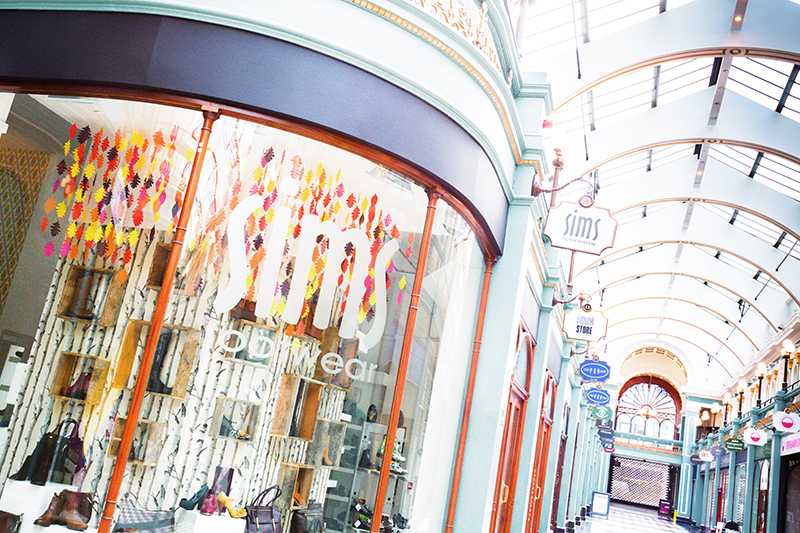 Today, Sim’s Footwear – located in the iconic Great Western Arcade – is the only independent shoe shop in the city centre, sitting comfortably amongst the arcade’s vibrant individual fashion retailers and eateries. Combining style, quality and personal service, Sims is for those who truly care about their footwear. From the classic to the contemporary, there’s a shoe for every taste and budget – meeting the needs of customers who have been visiting for years or those simply passing by. At Sims experience counts for a lot and both Paul and his team definitely know their brogues from their chelsea boots and are always happy to go the extra mile to make sure you leave with something to put the spring in your step.